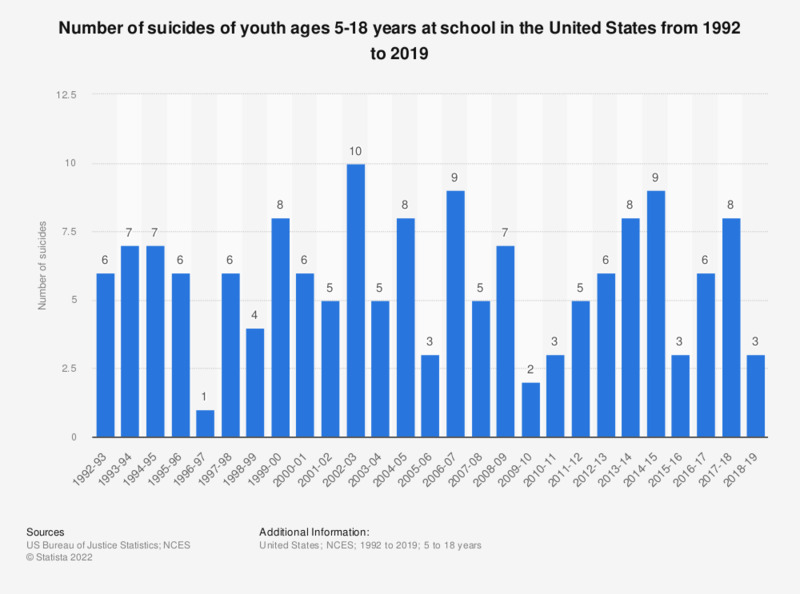 This graph shows the number of suicides of youths, ages 5-18 years at school, in the United States from 1992 to 2016. During the 2015-16 school year, three youths committed suicide on the campus of a functioning elementary or secondary school. It has been found that the death rate for suicide in the U.S. for males has remained higher than that of females for the entire period between 1950 to 2016.